The study of climatic variables in large scales with surface meteorological stations is limited due to the low density of these stations in many regions, possible sources of errors related to missing data, and uncertainties about the calibration sensors. Global gridded data (GD) systems can minimize these problems. Thus, studies that validate GDs with “ground truth” are important for several applications such as climate change. 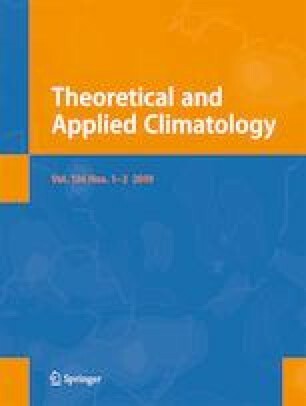 The objective of this study was to compare long series of surface data with 10-day estimates of average air temperature (T) and precipitation (P) using data from the European Center for Medium-Range Weather Forecast (ECMWF) and the National Aeronautics and Space Administration (NASA) for important agricultural locations in the states of Minas Gerais and São Paulo in Brazil. Despite the different spatial resolutions between ECMWF and NASA, the purpose of this paper was to evaluate the two data sources as they are readily available. The GD performance was evaluated by linear regression analysis. Analyses were performed for each meteorological variable for entire years and separated by seasons. The estimates of T from both ECMWF and NASA systems were accurate with the minimum Willmott concordance index (d) and RMSEp of 0.86, 0.37 °C, respectively, and precision with R2 0.61. The estimates of P had a minimum R2, d, and RMSEp of 0.48, 0.79, 2.15 °C respectively. The decreasing orders of (R2) were autumn > winter > spring > summer for T and winter > autumn > spring > summer for P, varying from 0.93 to 0.61 for T and from 0.77 to 0.48 for P.
The online version of this article ( https://doi.org/10.1007/s00704-018-2706-z) contains supplementary material, which is available to authorized users. This research was supported by the Coordination of Improvement of Higher Level Personnel.